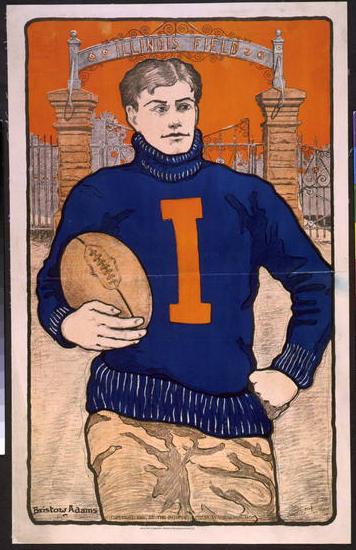 Title: [Football player, with letter I on sweater, holding football, in front of Illinois Field] / Bristow Adams. Date Created/Published: Washington, D.C. : Andrew B. Graham, photo-litho., c1902. Promotional goal: U.S. K3. 1902. Copyright by the Potomac Press, Washington, D.C.